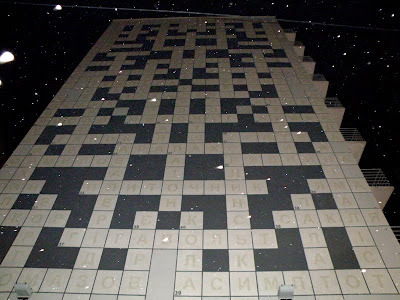 A 100-feet-tall crossword puzzle on the side of a building in Lvyv (Ukraine). 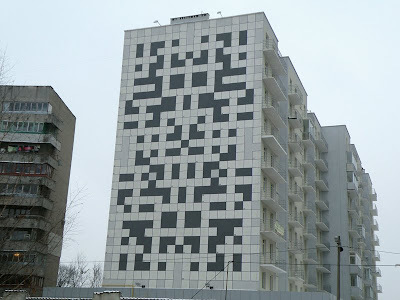 The puzzle is empty by day, with clues spread around the city's landmarks. At night, special lighting reveals answers. That is really neat! What a way to get people to look more at the landmarks in their own city! It is so unique!very sophisticated! Amazing, Just terrific. Great building indeed. Some useful informations. Thanks for this advice.